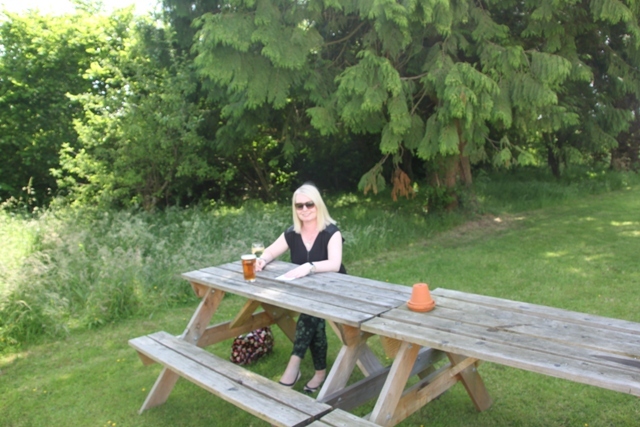 This was one of those perfect surprises – meant to be merely a “break the journey stop-off point” on a drive between Swansea and Aberystwyth, randomly chosen and based entirely on location, it turned out to be the most fabulous afternoon. 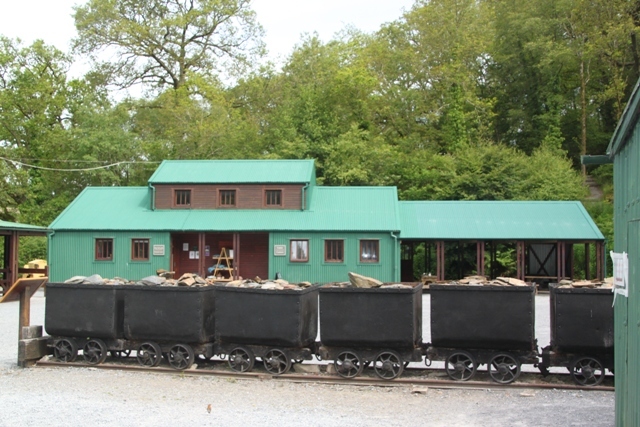 We all loved exploring this Welsh gold mine and we were all in total agreement that this place, nestling in the heavily forested hills of West Wales is a hidden gem. Gold has been mined at this spot near the village of Pumsaint since the Bronze Age and maybe even before. 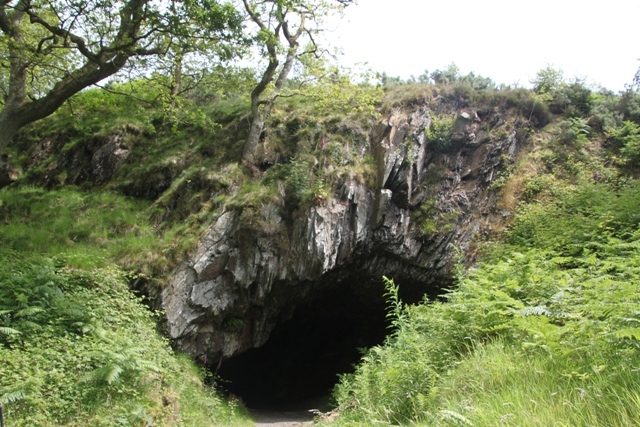 The Romans were here too between 78 AD and 300 AD and this was the only place in Britain where they mined for gold. After the Romans the mines were idle until Victorian times then a succession of companies worked the mines until they closed forever in 1939. There is still gold in them there hills – it’s just way too expensive to get it out. I loved the whole feel of the place from the moment we stepped out of the car. Atmosphere by the spade load it is not hard at all to believe you’ve stepped right back in time. 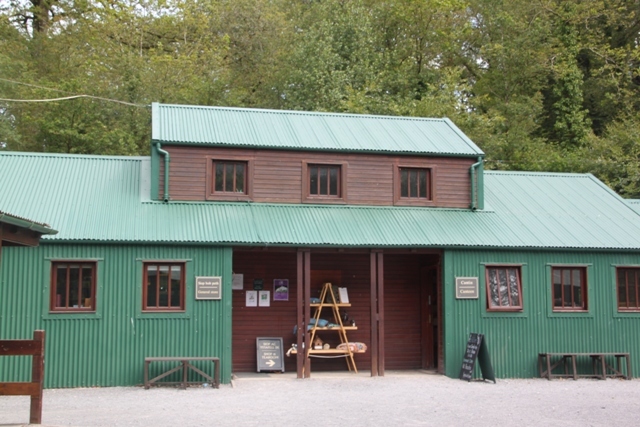 A series of rustic looking buildings were dotted around, each had different exhibits and information all about the site and its history. The buildings are not original but are in the correct places and give a great idea of how things would have looked once upon a time. Machinery, tools and other such stuff are scattered around too. 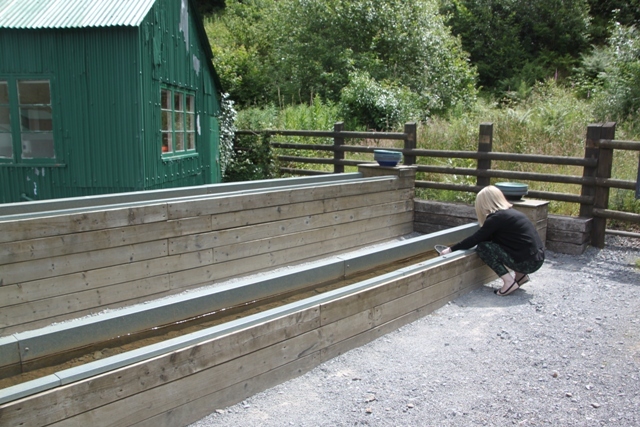 We tried our hand at panning for gold – unsuccessfully I might add, not helped by my (and Son’s) lack of patience. After an enamel mug of strong coffee in the rustic canteen and a close-up encounter with a very tame Robin, we headed off to get kitted out for our underground tour. Hard hats, miners’ lamps and heavy battery packs were the order of the day. The mines were extremely wet – our footwear was of the extremely unsuitable variety- but they had a plethora of Wellington boots in all sizes so no problems there. 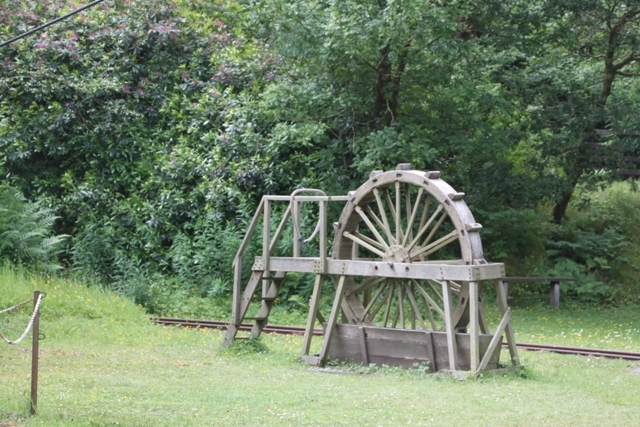 There are two tours available – either the Roman mines or the Victorian mines and run at different times throughout the day. 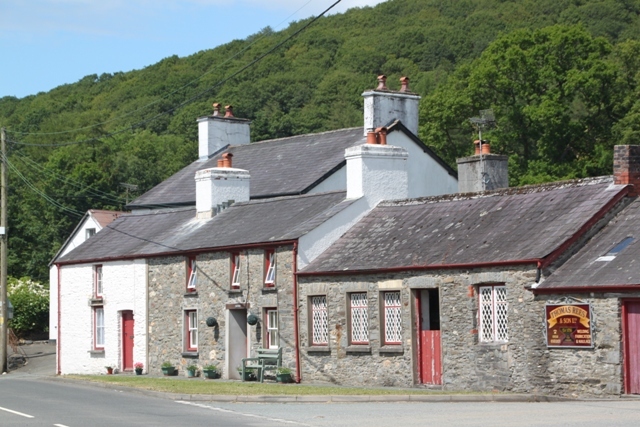 If (like us) you are a National Trust member it is free of charge but you still need to book on arrival. Timings for us meant we went for the Victorian tour. With twelve people in our group we set off at a rapid pace up a moderately steep hill. The guide told us all about the history of the mine and the Victorians. Fascinating stuff, also fascinating was ascending a steep hill to go into a mine – for me that was a first. 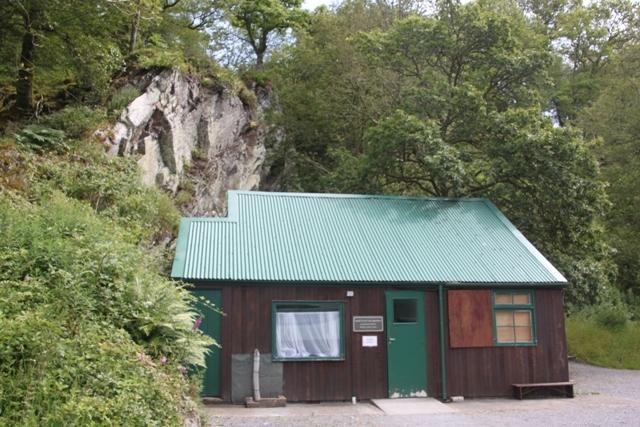 Bats live in the mine – a frisson of terror ran down my spine as we were told this at the entrance. However, she added, only in winter do they make it their home – much relief from my end that this was a summer visit. Inside the mine we switched on our miners’ lamps and made our way through the dark, wet and dank tunnels, stopping off at various points of interest. 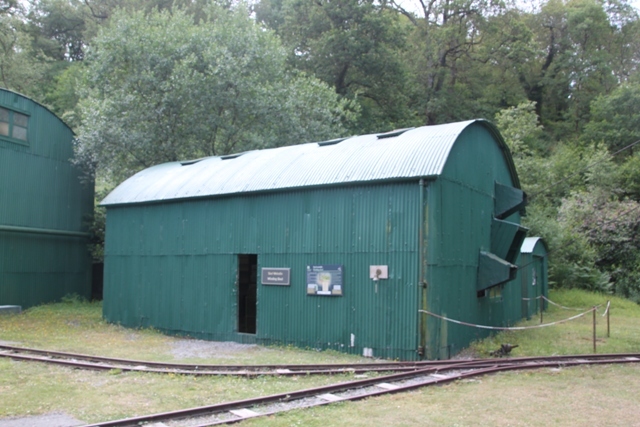 We saw quartz seams and even some Welsh gold – nobody was tempted though when we were informed it was left there because had they taken it out, the whole mine would have collapsed. At the end of the tour we were presented with a choice of exit. Either the flat route – which I (wimpish and proud of it) took, or as the guide referred to it, “the Indiana Jones way.” Steep steps, ropes and a multitide of ladders was the order of the day. Son loved it, Husband not so much. A peek in the gift shop and we left with some Roman coins and a little bottle of gold. Son was very keen to buy this – apparently Welsh gold is worth more than platinium – so imagine his face when he saw a label on the bottom declaring this stuff was from Brazil. Just a stones’ throw from the mines we found the quaint hamlet of Pumsaint. Also part of the National Trust estate and well worth a quick look. 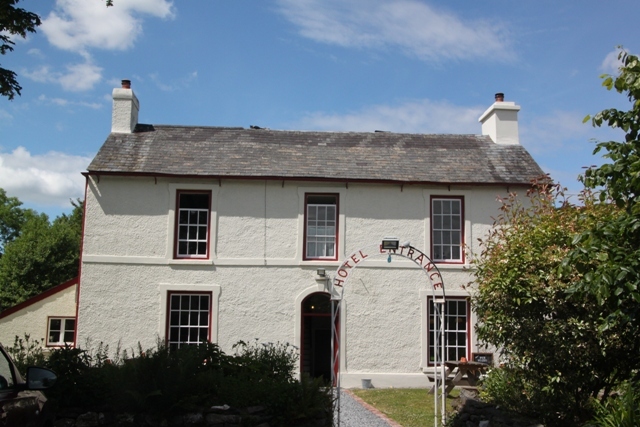 We made our way to the coaching inn – beautiful inside and out, it dates back more than 200 years and has big fireplaces, original tiles and what looked like delicious pub grub. Drinks all round we headed outdoors, sat in the gorgeous garden and made the most of the glorious Welsh sunshine. It was – a fab afternoon!! Have a great weekend. Thank you, you too, Joy! That looks to be a brilliant place to visit, the type of place that really appeals to my family and me. My husband has an obsession with ancient Rome and Roman Britain so no doubt we would have gone on both versions of the tour. It is good to see you appearing in some of the photos of your travels. It was fantastic Laura – we loved everything about it. Time constraints meant we could only do the Victorian tour but it’s the kind of place I would definitely revisit in the future if only to tick off that Roman tour as well! I’m slightly OCD and hate to think I might have missed out. We are a tad camera shy in our family – pics with people seem to be in short supply!! Hope you have a great weekend. What a lucky find! This does sound so interesting–I’ve been through tin mines in Cornwall and just the idea of being underground like that is scary/thrilling. This was fascinating – the history was so interesting and the whole experience was great. A trip down a tin mine would definitely appeal to me too though! Isnt it fantastic to accidentally travel to and visit and explore random accidents! Looks like a great day! I think we had no expectations for this day out which made it even better! I love a random accident too!!! What a cool looking place and a unique experience. Another side of Wales I never would have looked for. Great pics and post. Thanks George – we knew next to nothing about Welsh gold so it was a lot of fun but also really informative! Have a great weekend. 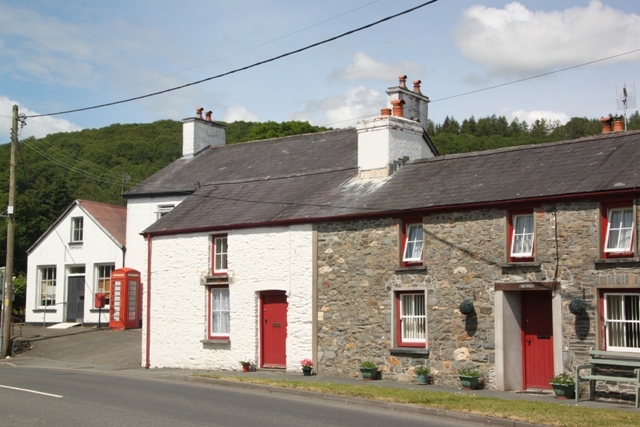 It was a gorgeous place Rosemary – the village was so quaint and the mines were so interesting. I think the Duchess of Kent had gold from here for her wedding ring so that was interesting too. Sounds like you’ll definitely have to have a Wales trip sometime with all those family connections!! Yes I’ll have to go there Joy! Have looked on the map and realised the gold mines and Pumsaint are reasonably close to Lampeter. 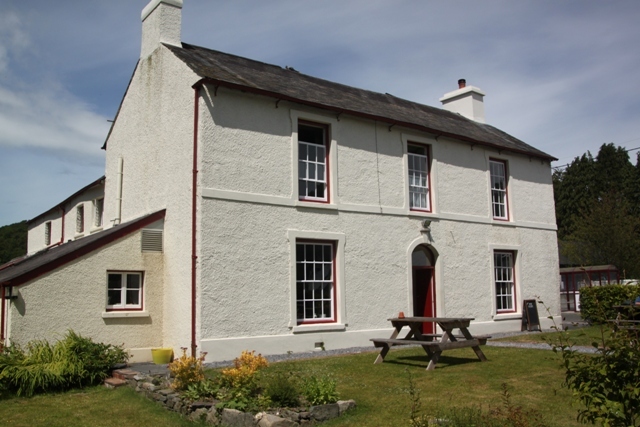 We went to Lampeter a few times to visit my uncle and aunt who lived there. My uncle sadly passed away a couple of years ago but my aunt still lives there! I’m really enjoying your blog and thanks for visiting mine. Where are you off next? Thank you!! Next big trip is Spain for Easter – looking forward to some sunshine! What a beautiful day out! We have something similar here in Ballarat and you can also try your hand panning for gold there. I don’t know if this is true but I was told that they sometimes release specks of gold into the river for the children to get excited about when they “strike” it rich! That sounds like a great idea for children (and adults too!!) – I would get very excited if I struck it lucky! We didn’t find anything apart from a few stones here unfortunately, but it was a great day out despite the lack of gold!! You didn’t find any gold, but you found a gem of a place…pardon the pun:P. I’ve never even heard of Welsh gold. Too bad about that souvenir gold from Brazil! We didn’t know much about Welsh gold either to be honest but this place sorted that out!! The Brazilian gold was a bit of a cheat – still it was gold at least!! 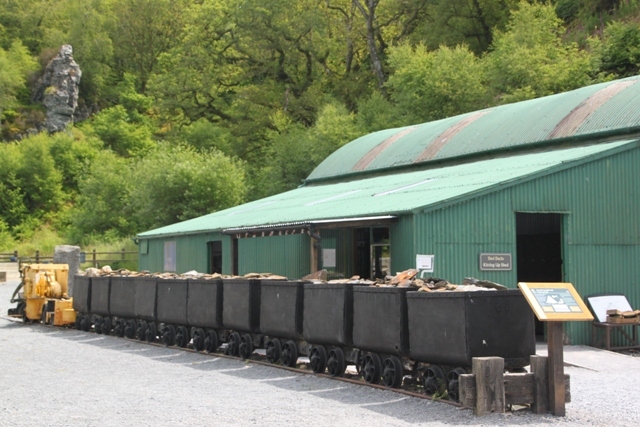 We loved it – the atmosphere was great and the experience of going down a gold mine was a lot of fun too! The wimpish way out was definitely the right choice for me!! 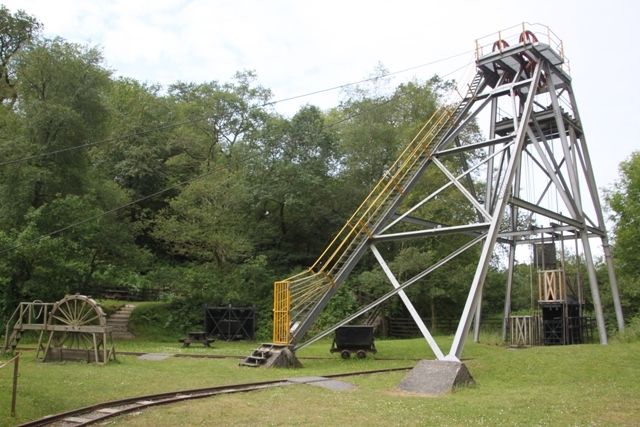 We loved the mine – just not too great at the panning stuff, patience is something of an issue!! Californian gold mines sound very cool – I think they probably come with a bit more sunshine too!! I love it when you find something so unexpected – a hidden gem. 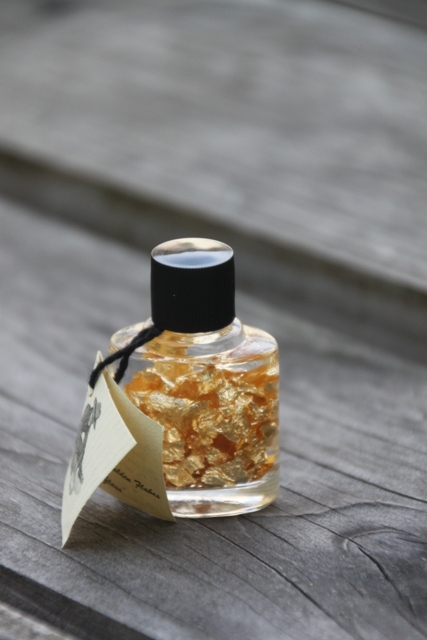 This looks such a wonderful experience – I’ve always wanted to pan for gold! It was great fun – we didn’t find much gold though, just a few stones!! The trip down the mine was great too – fascinating and the choice of exits on the way out was a fun touch! I didn’t know they have mined for gold in Britain ! This is really interesting ! I didn’t know about the gold either – this place was a lucky find and so interesting. We are still chuckling about that Brazilian gold – almost better than getting the real thing in hindsight. The easy route is normally my choice – I did think I might have missed out on something special, but hearing about all those ropes and ladders….. well, I think I chose well! !